Welcome to a new year! Am I the only one wondering how many months are in January? Last week was January, this week is still January, biko January come and be going! For those of us in Nigeria, January welcomed us and fuel scarcity like two old friends that have not seen each other in a decade. Last last, February is here, and the month of love will not disappoint us. I’m sure you’re wondering about the topic of this week’s post, right? 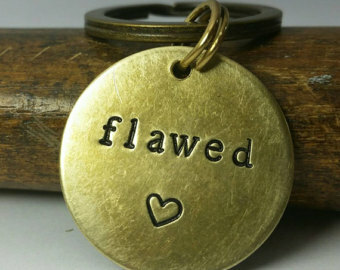 Well, I wanted to title the post 'Flaws' but as I was getting ready for work and listening to a message, I got the inspiration for this title and the verse; you can be sure that I messaged my writing mentor, Mysses Lafunky, immediately. "As iron sharpens iron, so a man sharpens the countenance of his friend" Prov. 27:17, NKJV. If you’re a fan of movies, especially the ones set in the olden days, you never see a warrior sharpen his sword with wood or foam. They take another metal and sharpen the sword till it can cut a person in half with minimal effort. This is exactly what is expected of us as children of God (I like how the bible refers to us as iron because we are expected to be strong, agile, malleable and yet sharp enough to dissect the plans of the devil and cut through the plans of the enemy, after all the word of the Lord is like a double-edged sword (Heb. 4:12)). However, even though we are described as iron we all come with our individual flaws and it is our duty to constantly sharpen not just ourselves but those we consider as friends. How do we do this? By running away or abandoning our friends when their flaws come up? No! Just like every metal has its flaws and needs to go through a purification process, so do we. How do we help our friends go through the purification process? We pray for them, engage them about their flaws honestly (Prov. 27:5) and with love and show them the mistakes they made and how best to correct those mistakes to ensure they are not repeated. It is not an easy task to do, neither is it a task that will be filled with thanks, but if you’re that friend (Prov. 18:24), you will carry out the responsibility with love and all manner of diligence. If you don’t know how to go about it, take it to God in prayer and ask Him for wisdom, understanding and strength before you go ahead in 'sharpening' the friend. As we go into this week, the charge is for us to evaluate those we call friends and consider the areas in which they have flaws, pray for them and approach them about it in wisdom and understanding, not finger-pointing, in order that they may be sharpened. Let's talk, I’d like to hear your thoughts on what you believe is the best way to engage a friend about their flaws. How will you handle their criticism when they get defensive and start calling yours out or insulting you? Have you had an experience, either positive or negative, of a time you sharpened a friend? We’d love to hear from you and who knows, if we like your experience enough and you give us permission, we just might share it for others to learn from. Stay blessed! Stay intentional! 1) I have had an experience where I corrected someone in love and in private in line with the Word of God and the person became very defensive and dismissive of it. Nevertheless, I knew it needed to be done as I felt it was an act of God's love. 2) It was a negative experience, which I counted as a blessing as God said when we are persecuted or insulted for His sake, we are blessed. The experience eventually turned positive as the individual contacted me a couple of months afterwards to apologise, which is humbling. It takes a lot of humility to apologise. Linking it to myself, I appreciate constructive criticism and as long it does not contradict the Word of God and God's directions for my life.